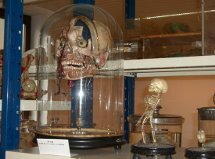 Today I am excited for something a little different and a little darker, with a splash of history, as we stop on the Beloved Poison blog tour and take a sensory journey though the London of the book and medical history (which is something I am fascinated by!) with author and medical historian E.S Thomson. Some of the images are not for the feint hearted but show such a vivid depiction of the dark history of medicine I love them (but then again I do love weird things). The gold foil cover drew me in and the rich world with its dark setting kept me hooked! 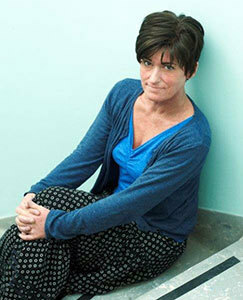 The history of medicine is a visceral and alarming source for the writer of historical crime fiction. 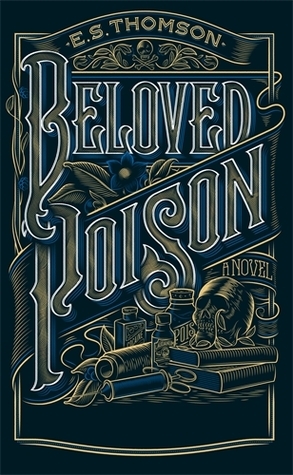 Writing my new novel, Beloved Poison, was, in many respects a sensory overload. 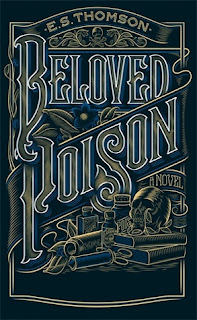 Beloved Poison is set in a crumbling, soon-to-be-demolished Infirmary, in London of 1848. I chose the time and place for the vigorous assault they offered to all the senses. 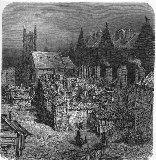 London in the 1840s (much of it since then has been re-built or demolished) was a city full to bursting with people and animals and all the noise and mess they can create. The city had grown at a prodigious rate with scant regard for the impact so many residents might have on its antiquated sanitary arrangements and ramshackle housing. The woodcuts of Gustav Duré give us some sense of its teeming, filthy and squalid streets, filled with all manner of hawkers, pedestrians, beggars, animals and vehicles. The stink of refuse, horse dung, and human effluent would have been inescapable – the gigantic sanitary reforms that transformed London into the place we are familiar with today did not begin until the Great Stink of 1858 compelled Parliament finally to take action. Prior to this, the smell if the city would be almost unimaginable to us; the sound - of street sellers, of rattling of cabs, drays and sundry other vehicles, of animals being goaded to Smithfield - would have assaulted out ears like a physical blow. The fogs that arose time and again in the capital were thick and coarse and stinking, blocking out the cityscape with a pall of greyish brown. The smell of effluent, the rich sulphurous tang of coal smoke belched from railway locomotives, factories and domestic chimneys of all sizes, would envelope the nose and mouth, and confuse the eye and the ear. Familiar objects and landmarks would become hunched and looming shapes, noises would have seemed disembodied or muffled. The fog could be tasted too – we forget, in our world of cleanliness and anti-bacterial hand wipes that once, that not so long ago, in the great industrial cities of Britain the atmosphere had its own flavour: cloying and acrid, it was the taste of smoke and refuse, the taste of low tide in a sewage-filled river. The hospital and the graveyard are two locations, intimately acquainted with one another, to be found in the pages of Beloved Poison. In these places too, the senses would receive a startling bombardment. In the hospital, the stink of dirty bedding, unopened windows and brimming privies would be joined by the reek of gangrene, blood and pus. The sight of the ward would appal modern eyes – and modern doctors. Cancers of the most advanced kind, suppurating wounds, infected boils, all without benefit of antibiotics or antiseptics would be left to fester with limited intervention. The sight of the leech jar would be commonplace. And consider the sounds of hawking and spitting in the Lock Ward, where those suffering from syphilis were dosed with mercury until their saliva turned black and their teeth fell out. The sound of a tooth being jettisoned into the ward spittoon was only to be expected. And when one did not survive the ministrations of the doctors and physicians, the graveyard was waiting. The feel of the earth yielding beneath ones feet as the occupants beneath rotted and sank; the sight of bones protruding from the over-burdened earth, and crackle and hiss of the fires kindled to burn corpses rudely dragged from the earth to make way for the more recent dead. Imagine the smell of burning hair and bone, the taste of it on the air, the harsh cries of crows in the stark branches of the trees, and always, beyond the gates, the sound of life and London. students, the harsh rasp of the saw, the muted screams of the patient. Anatomy students worked in cold conditions to arrest the decay of their subjects; they wore old hats and coats to protect their hair and clothes from being impregnated with the smell of putrefaction, or with the steam that arose from the great copper cauldron in which the bones of the dissected might be boiled. So where, in Beloved Poison, might the senses find rest? As an antidote to the relentlessly visceral world of the streets and the hospital, the surgeons and anatomists, I offer the physic garden and the apothecary. Lavender and rosemary, rose bushes and pear trees, even the dark beauty of the poison beds offered relief to the eyes and the nose. Here, the sounds of the city are heard beneath the sound of bees; the cold blobs of anatomised flesh are exchanged for the feel of warm soil beneath the fingers. Similarly, the apothecary and herb garret, modelled on the Old Operating Theatre at Old St Thomas’s Hospital, offer a sanctuary: a haven of glittering glass jars filled with colourful liquids, sitting in the window and as bright on the eye as stained glass. We might hear the friendly crackling of a fire, feel dried leaves and petals beneath our fingers. Surrounded by warm woody scents – hops, bergamot, camomile – it is an oasis of calm in a world of mayhem and death. You guys are fantastic! I've been perusing your site and I'm in love with it. I didn't see an email address anywhere, though. Is there an email that I can reach you with? You can reach out to me at info@europeangeeks.com or through the contact form on www.europeangeeks.com. I'd love to chat with you about a few projects we have going on! Thanks - and keep up the awesome work. You guys really have an awesome site. Dich vu thuê xe 16 chỗ giá rẻ và thuê xe 7 chỗ giá rẻ uy tín nhat Ha Noi.